Do you make one? A Christmas list. My man doesn't really like the list idea. Oh he'll make one, but he doesn't really like them. He says you aren't surprised when you make a list. You know what you're going to get. True, but you don't know what on the list you're going to get. Unless of course you only have 2 things on the list. Normally the list exchange with my family occurs on Thanksgiving. One can take advantage of the Black Friday sales that way. I never have trouble making a list. So much FUN stuff out there! Yummy smelling body washes, lotions, make-up and clothes always make my list. 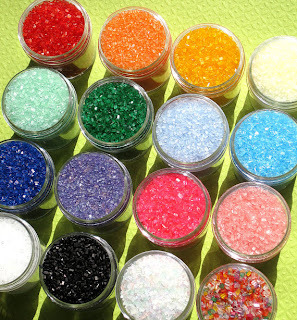 Sparkling sugar sprinkles to top those cupcakes with. The Bakers Confection has so many items to chose from. Cupcake liners, paper straws, treat bags etc. 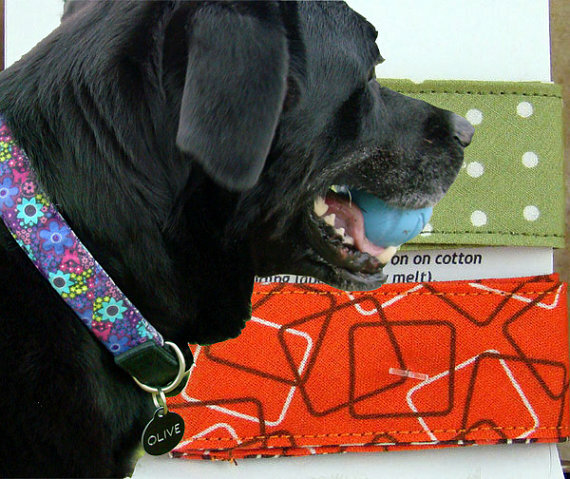 Why not add something on your list for your furry friend too. A Collar Cozie so they can be stylin on their trip to the dog park. Bubble Off Plumb makes a variety for your big dog. Thanksgiving while I'm waiting for dinner to digest so I can make room for dessert I'll be pouring through the Black Friday ads making my list and checking it twice. How's your list coming along? Thanks for the shout out, lady! There are some new GreatBigBeautifulDog Collar Cozy sets coming soon, too! Bubble Off Plumb Productions Inc.
Great products in your shop TheMistressT. look forward to seeing those Collar Cozy's.